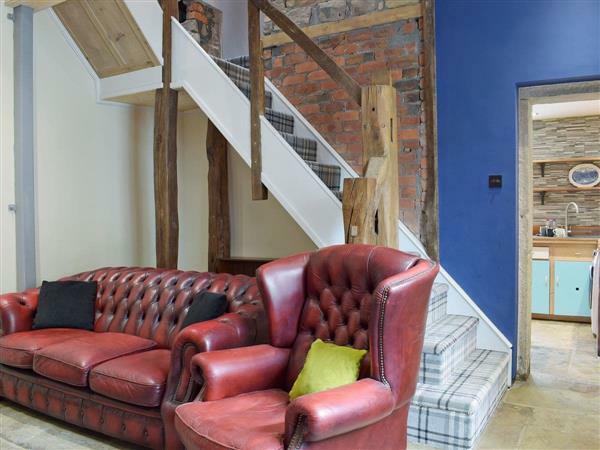 Babylon Cottage in Anderton, near Chorley, Lancashire sleeps 6 people. Babylon Cottage near Chorley is located only a few minutes from the M6 motorway; Babylon Cottage is a perfect base for those wanting to take advantage of the many different attractions on offer around the north west of England. This end terrace property is located in the heart of the village of Anderton, with a local shop and pub within easy walking distance, and just a 10-minute drive from the market town of Chorley, which has a popular weekly market on a Tuesday. There are plenty of great walks within easy reach such as Rivington Pike and reservoir, which can be reached within 5 minutes, and White Coppice in just under 20 minutes. Popular Blackpool and the Fylde Coast is under an hour away, as are the vibrant cities of both Manchester and Liverpool. There is a beach 32 miles from Babylon Cottage near Chorley. With the shop and pub 200 yards, and the restaurant is 1 mile from Babylon Cottage. Babylon Cottage near Chorley has a step to the entrance. Living room: With 40 Sky TV, Blu-ray player and slate floor. Dining room: With slate floor. Kitchen: With gas cooker, microwave, fridge, freezer, washer/dryer and slate floor. Gas central heating, gas, electricity, bed linen, towels and Wi-Fi included. Travel cot, highchair and stairgate. Welcome pack. Enclosed courtyard with sitting-out area and garden furniture. Private parking for 3 cars. No smoking. Holidays at Babylon Cottage run from Friday to Friday. Pets allowed at Babylon Cottage. For a better idea of where Babylon Cottage is, you can see Babylon Cottage on the map below. Babylon Cottage is in Lancashire; should you be on the lookout for a special offer, you can find all the special offers in Lancashire. It's always worth checking to see what is on offer at the moment. Do you want to holiday near Babylon Cottage (UKC2277), you can see other cottages within 25 miles of Babylon Cottage; have a look to find your perfect holiday location.